Our ten acre woods has a creek on the back of the property. 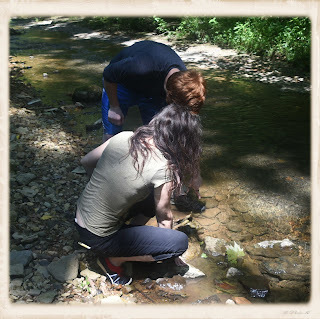 I got to wade down our creek last week with a biologist. Yeah, my daughter is a biologist. We use to wade this creek when she was a little kid, looking under rocks for crayfish or salamanders. 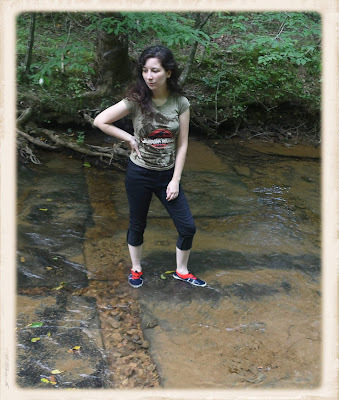 Once she caught a crayfish with big pinchers and it pinched her on the hand, she just cried, but that didn't stop her fro catching whatever was under a creek rock. 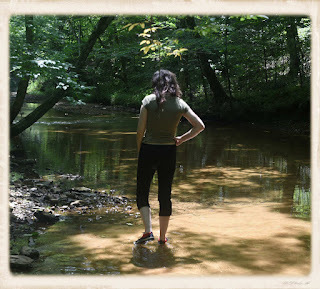 It's amazing how the impact of wading a creek has on life. She is a third year Phd student in biology at the University of Georgia. 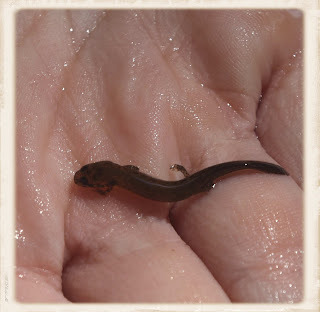 It's a beautiful little creek with all kinds of life including this salamander. The creek is named the South Fork of Sycamore creek. I can see why they call it Sycamore Creek because of all the sycamore trees that line the banks. The water is fairly cool on this hot summer day. Check-out the clarity of the water. 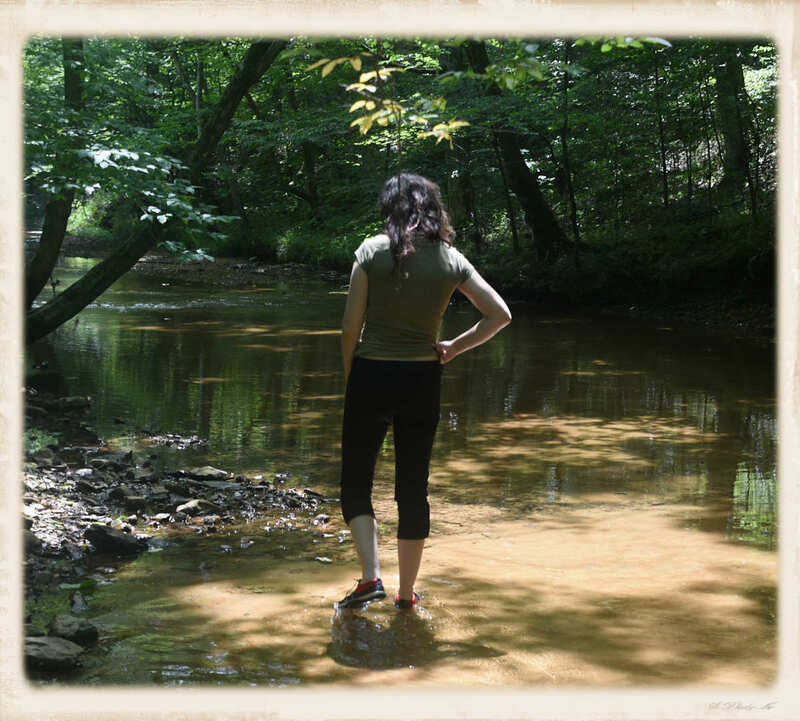 She noted that it appears to be a healthy stream. It's cool what you spot while wading. 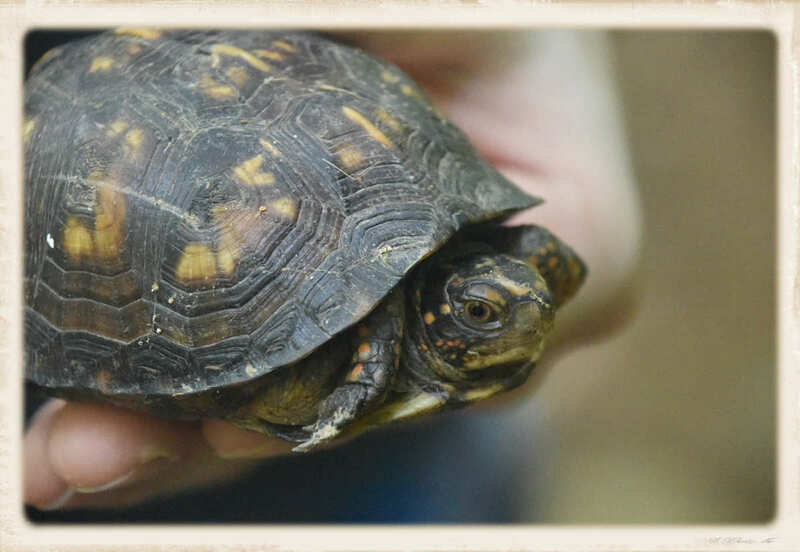 We found this box turtle wandering the woods, probably looking for a mate. Lucky for my daughter, she won a National Science Foundation Grant that pays for her Phd schooling. Something else, I do beautiful lake maps. 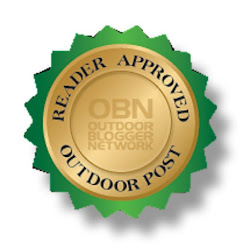 Paddle on over to my website to see some great maps of your favorite lake, river, or bay...LeoLakes.com makes great gifts for the Lake Lover, Lake House, or Fishermen.